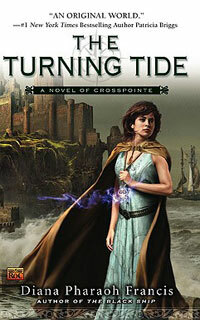 Click to read an interview with Ryland, Fairlie and Shaye from The Turning Tide. 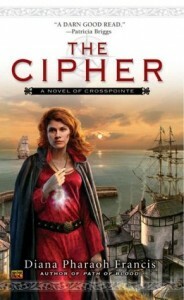 A member of the royal Rampling family, Lucy Trenton possesses a most unique talent: the ability to detect majick and those who wield it. She has kept her ability a secret all her life to avoid bringing scandal to her family, but lately Lucy has grown careless. 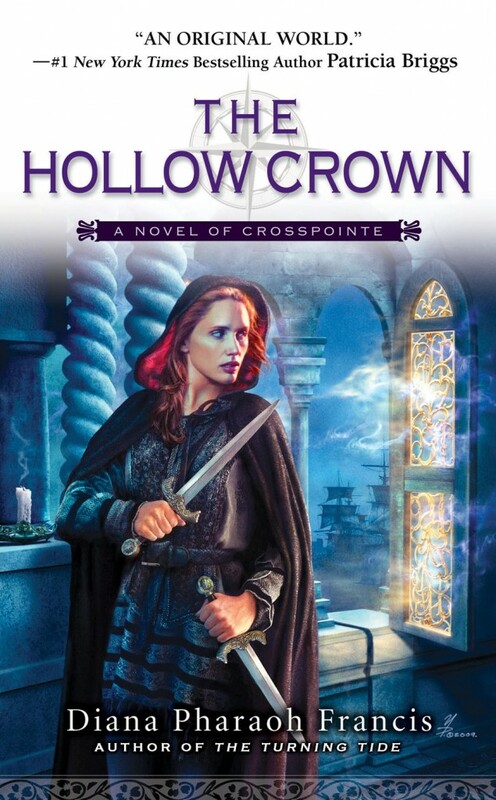 When she recklessly uses her gift to locate a valuable and treacherous majickal artifact, she finds herself embroiled in a dangerous intrigue that threatens her life—and the life of every person in Crosspointe. Note: This book has previously been published by Roc. 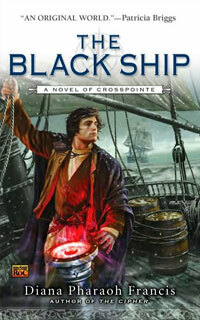 Thorn is a member of the Pilot’s Guild—those who possess the magical ability to navigate Crosspointe’s deadly seas. When a malevolent master within the Guild bans him from the sea, it seems his life is over. 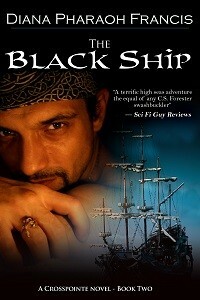 Then he is kidnapped and forced to serve aboard the rogue ship Eidolon—pitch black from bow to stern—and Thorn finds himself battling a mad captain, a mutinous crew, and the terrifying magic of the sea. They were the best of friends: Ryland, the son of the king, is bound by loyalty. Shaye is both a majicar and a Weverton, both rebellious factions. Fairlie, a fiery metal-smith, is the iron bond that held them all together. Until now. Crosspointe’s greatest advantage at sea is its ship’s compasses—but the compass makers are dying. Without them, Crosspointe will fall. To save his country and repel the coming Jutras invasion, the king orders Ryland to commit an unforgivable act. And soon Ryland, Shaye, and Fairlie find themselves at war…with each other. 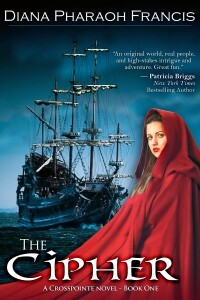 After the murders of the king and queen, the island empire of Crosspointe is on the verge of chaos. The ruthless Lord Chancellor has taken the throne and made slaves of most of the royal family. Now, in order to save the country they love, the king’s heirs are determined to rally whatever allies they have left and overthrow the Lord Chancellor- before the Jutras invade.